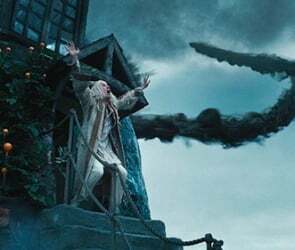 We've already seen tons and tons and tons of images from the forthcoming Harry Potter and the Deathly Hallows Part One, all of which you can find in our big gallery right here. 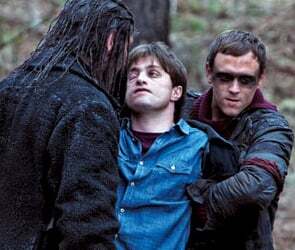 But apparently we haven't yet seen every single frame from the beginning of the end of the Potter franchise, since Entertainment Weekly posted a gallery with a few new shots, including Rupert Grint getting blood applied to his arm after one of Ron's many battle scenes, and Harry's face swollen just as the Snatchers apprehend him and take him to Malfoy Manor. Check out four of the images below and click on any of them for EW's full gallery. 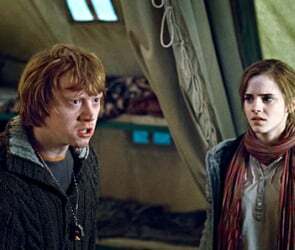 Be sure to come back next week, too, when we have a full lineup of Harry Potter coverage planned.